If a brand you've smoked isn't listed, please take a moment to tell us something about it. The more information the better. Some possibilities include: cut, color, smell, taste, stuffability, tobacco types in the blend, comparable tobaccos, cost, manufacturer, country of origin, packaging, where you got it, etc. You can also request more information about a brand that's not on the list. Post whatever you know about it, e.g. where you saw/heard about it. packaging is smart similiar to the Kentucky brand with the black bag to protect against UV. The flavor is bold, full flavor, from the house of parker and simpson so the bag claims. was hoping to find it here online since formerly a food inspector, the anti-UV bag means a lot for potency. American Club in my opinion, is the worst tasting and smelling crap I have ever bought. Tried to exchange for something else for the same price and store owner wouldn't let me, even tho he's the one who recommended it and even told me I could exchange it if I didn't like it...he said it was his number one seller-to who all his Indie friends? Needless to say I will never buy that brand again nor will I shop there again! We are thinking of bringing in a new brand called "Crazy American Horse". Have any of you tried this brand? 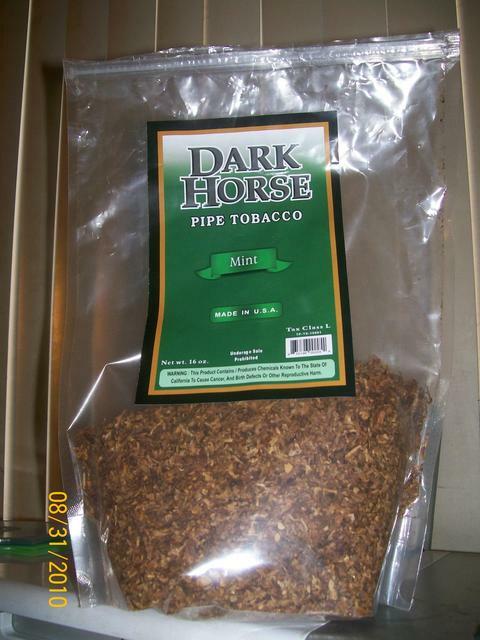 RIO Pipe Tobacco 12 OZ bag for $ 8.99 in PA. I've just recently started RYO again and picked up 2 bags of the Rio Original Orange bag with assorted colors down the front. It's a light brown tobacco with some stems here and there. To me it isn't harsh or bad tasting. I like a strong smoke. Nice smell. And stuff's very well. On the dry side. I use Zen 100mm tubes but they seem to burn very fast. I also use the TOP-O-Matic Mikromatic injector, works great I haven't had any problems with it as of yet ( thank goodness ). Just don't over stuff. That's been BIG advise on every site I researched on. I hope this helps. WWW.SXBRANDS.COM Not much info there, just show's the brands and pictures. I've tried the medium and natural, preferring the later. Natural: A good mixing tobacco that is almost undetectable when mixed with a good half- or full-zware shag, turkish or even Top and/or Bugler. ~$32/lb retail is a bit pricy for a non-distinct, mild and smooth smoke. By itself, the Natural is passive, but passable on its own as an everyday, cheap smoke. Fulfills the need, but rather boring without another, more exotic blend and flavors to improve it. The Gold-Colored (Mild or Medium): a bit more kick and aftertaste, very similar to a Marlboro Medium's flavor profile (I've bought a few packs of Marlboro Mediums, back when I was a Camel smoker). Also a good mixing tobacco, but butts in and adds to most mixes, so buy the 6-oz bag before committing to a higher quantity. Just got in samples of D&R surprise, surprise! I suppose the bite I felt was what was to be expected with less expensive tobaccos with cheaper brands. My D&R shipment came in 3 days via Fed Ex and a few of the 2oz packages seemed a bit dry so I didn't stuff these two. WIll read up on how to hydrate then stuff a few. Other than that the 6 samples I got were of varying degrees of what a fresh smoke should be. I'm a pleasantly surprised camper. I haven't decided what order I liked the best as I had to stuff a half dozen of each of the D&R's I got in. Vengeur--Pennhooker--Ryback Gold---Ramback Gold--Ramback Turkish--Windsail regular and Three Sails. The Three Sails was a 16 oz batch,..the rest were 2 oz. The 3 Sails was tried before hence the 16oz. 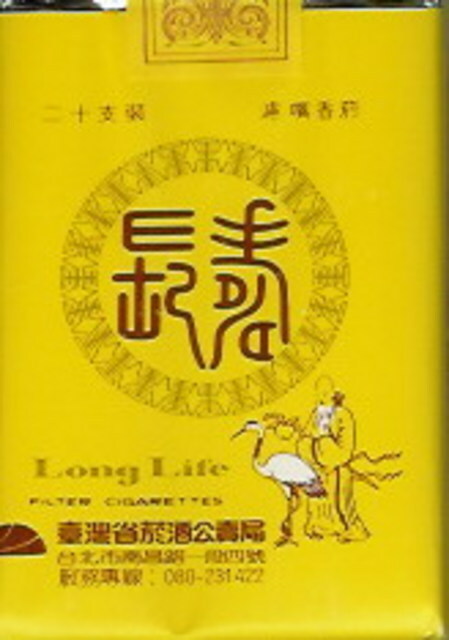 It is a wonderful tobacco. I was quite surprised with the Vengeur and like it a bunch but the kicker is the Pennhooker , a Canadian tobacco, and I just love it. Smoked one of the major pre-packaged brands for years and as time went by I thought the major brand or smoking in general was degrading my taste buds. Now I believe after smoking the same major for so many years it wasn't the buds but the manufacturer using a lesser quality tobacco to increase their profit margins. Any of the D&R's listed above would make the old smoke pale in comparison. Yes,....different blends have individual characteristics and not to everyone's liking but I was surprised by the quality of the samples of a better tobacco. My message here is even a more expensive brand such as D&R, and I'm sure there are others but I haven't tried them yet are about $1.80 per pack. Still more than a 66% saving and the quality is beyond compare. I'll know better over the next few weeks which of the samples I like the best. The message??? Don't be afraid to try different slightly upscale makes. The first 6 oz bag that got me started was on a recommendation buy the retailer and he stated brand "X" ( 6 bucks for 6oz) was the most popular. My assumption on this is a price point tobacco. Sure,..try the less expensive stuff first and if you like it,...stay with it. But !!!! Spend $12 bucks for 6oz and you will see a huge improvement. By the way, if you are a newbie, 6oz can make 9 to 10 packs if-ya don't over stuff 'em. Over stuffing is the downfall of every beginner,...myself included but I've learned. Now I have spare $$ at the end of the week! All smiles and I hope you will find the same. Great smokes, great price, extra money. What more could ya ask for. BTW,...... thank to all the other folks that posted here as I have digested a lot of comments and you folks have steered me, still a rookie, in the right direction. I only felt it fair to comment a bit and hope a few really new folks to this knack of stuffing take the leap. thanx to all and bye2all. I tried the puffnstuff pipe tobacco about a year ago and have been using it since. The cut is perfect for stuffing. The blend seems real good. It has a great smell. The bags says it is made in North Carolina which is probably why the tobacco blends so nice. There is a moisture barrier in the bags and I have noticed that it stays fresh longer than some of the others like Criss Cross, Kentucky Select and 4 Aces when I have tried those. I use the FF. I have also taken a 6 oz ultra lite and mixed it in with the FF (lb) and that is a good smoke too. A friend of mine uses the menthol and menthol light. The price usually runs between $15-$20 for a pound. Surprised it wasn't listed as I've seen it mentioned as a favorite inexpensive tobacco by several people on several forums. We pay $14/lb + shipping and our favorite site doesn't offer it in the 5# bags. Most sites I've seen it for ~$16-17/lb or $14-15 per lb for a 5lb bag. It's also stuffed great but we use a off brand triple sliding stuffer that has been great with anything I've used as long as moisture is right. Can't say much about it as I haven't compared enough tobaccos side by side with the same tubes and aren't too great at telling exact differences other than if I like it or not and why/why not. If anyone is interested my wife could do a decent review. Anyway, Ohm is all my wife and I smoke and we love it. We smoke menthol and smoked several #s of 5 other brands of menthol flavor and tried only a few more. Trying to save $ I ordered the two cheapest RYO from my favorite site. They were both the worst I've ever had. So I looked for something middle of the line that had a decent selection in case I outgrow menthol ever. I liked the name and packaging of ohm so I went with it. We like it much better than Gambler, Top, Kite, Bulgar, 4 Aces, Sparrow, and Red River which are the brands I've tried at least a # of. Kite is my 2nd favorite and I remember it being similar but it's been a year+ since I've had kite. Does anyone know where I can find Ohm mint for no more than $16/lb or $70/5lb as well as Zen menthol tubes for no more than $3.50/200ct that also has decent accessories. I've been wanting to buy good cig cases (Sharigo wate safe is my fav but can't find anywhere in-stock) and few other accessories for awhile but the sites never have my tubes, baccy, or anything else that justify and order with shipping. www.tobaccogeneral.com has the 5lb bag for 51.99 as of 2/2/2012. This is 7 months after you posted. Hope this helped 7 months later, LOL. ryocigarette.com is your best source for Shargio products because it is a store right in front of the Shargio factory. They have the water-safe cases and 5 lb bags. Ohm tobacco is grown in India, packaged in the US by Shargio. What state do you live in? because i pay $4.99 for 8oz and $2.25 for 250 tubes. It seems impossible to me as noone has mentioned Amsterdamer as it is a tobacco that has the best caramel aroma,the smell by itself is addictive,its a light, golden shag of a very pleasant, subtle sweet "grassy" flavoring,the colour is also quite light and personaly its the best rolling tobacco I have ever smoked!! YES I LIKE TO ADD A BRAND I BOUGHT HERE IN UPSTATE NY, OUT OF A LOCAL INDIAN RES, STORE.- ITS CALLED , American Club.-I bought the light version and it seems pretty smooth and not harsh at all and with very little stems,.and it seems to hold it's moister well.- I don't have anymore info than that but it seems pretty good, and the wife likes it in her zen 100mm lite tubes and says that combo is very close to, marbor, lights 100's - I also only paid about 20 dollars for 1.lb bag,--Says its made by Lake Erie tobacco company, N.Y. Here in Australia, I buy Port Royal, a truly heady blend of bright and dark tobaccos infused with rum and wine. It is from British American Tobacco. Is it available in North America? Or is there something similar for when I visit? Fifty grams is about AUD$32 here. I found a deal on what's labeled pipe tobacco, (dealer said that avoids taxes?) but works great stuffing Premier tubes with my Supermatic II. The "mint" flavor is a little harsh at first opening but tapers over time. Everyday I smoke tubes filled a week ago, the week-long aging period mellows the menthol just enough for my tastes. Go to their Facebook page. But they already are changing the packaging. You might also like Criss Cross and definitely 4aces. I do 4 aces a long time because I am allergic to actual manufactured cigs and smoke pipe tob. because there are no extra additives. Also Gambler is made by the same company as 4 aces. Watch it though Gambler is a cig. tob. class not classed as pipe. I am about to try it. All this companies have a facebook page. Anyone Bali Users Tried This? I ran across this Bali entry somewhere along the line and wondered if anyone has the scoop on it. Along with the mythical Bali Yellow. Re: Anyone Bali Users Tried This? 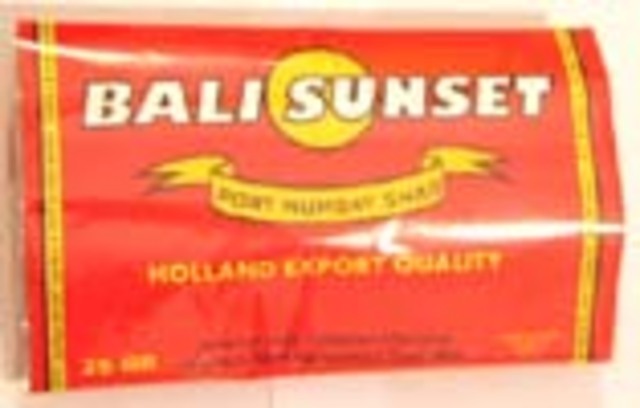 Its an Indonesian sun-cured Javanese blend made by Port Numbay. Premier Has A Brand Now! I don't believe it. Premier [link] has their own brand now. I haven't tried it and most certainly won't pay $14 for a 6 oz can (especially not when many D & R flavors are $15.95 per 14 oz bag). I can't get the reviews out of my mind from those who had symptoms similar to colds after using the Premier tubes. I wonder if the Premier tobacco will make the symptoms better or worse? Re: Premier Has A Brand Now! I haven't tried any of these yet. D&R has me hooked. I've seen Triumph Tobacco lately, and I was wondering if it is worth buying. It comes in 12.5 gram pouches and is probably from Europe, or Australia. Yes, I tried it recently. Excellent! (For my preferences, anyway.) A very dark, almost black tobacco. A full flavor, but mild, not harsh. An instant favorite. Also easy to stuff, with just the right moisture content. I wish I could find it in bulk. Can anyone help there? Saw this today at my local smoke shop. Comes in 1lb. and 6oz. bags. Looked very fine cut and comes with no papers. I've tried GT One premades and wasn't too impressed...which made me decide to wait till someone else here tries it first. I picked up a 16 oz bag in Ohio. Excellent smoke for the money. Light -- traces of chocolate casings. Minimal stem content. Very good American Blend -- good rolling moisture content. A friend of mine got some of this - Light - in Fremont Ohio and I tried it out. It was the smoothest light tobacco I've tried. I currently use McClintock Light in my blend. I had some of the new Ramback Balkan from D&R (my taste test on that is about the same as Kerry's - experiencing some occasional harshness but in general pretty good tasting. It didn't blend well with Rowland though, imo.). Anyway I've looked for this Buckeye's Best on line and only found a few 'company related' sites rather than anyone that sells it. If I recall, it is made by the same company that makes Golden Harvest tobaccos and the name of the tobacco will depend on what state it's sold in - eg. "Kentucky's Best" and perhaps "Indiana's Best". Just wondering if anyone has seen this one and what they thought? I'd also like to know if it comes in a Menthol Light. You could call the manufacturer (see M&R Holdings). While it hard to know who's connected to who, Kentucky's Best is made by Farmer's Tobacco of Cynthiana (who isn't the manufacturer of Farmers Gold, M&R is) and Golden Harvest by Rouseco (Franklin Rouse VS M&R's Dean Rouse). Thanks for the info, Dave. I'm having my friend pick some up today and hopefully there's some menthol light. If it works for my blend, I'll be making some calls. I meant to add that the tobacco in Buckeye's Best looks much like the Ramback Balkan - yellow/golden - lighter than anything else I've seen. Cutlass tobacco...It's available in full, light and menthol in 6 or 10oz. cans. I'm form Chicago so far only saw it in this area.. Local company Fairprice tobacco i.e ryocigarette.com is the mfg. It's a fine cut shag..similar to London export with a hint of chocolate something like rowland. Definitely an American blend style of smoke because of style of cut it works well both for stuffing and rolling. The price at the store is $7.99 for 6oz. and $13.99 for 10oz. Great. Has anyone tried Cup O' Joes Natural Cigarette Tobacco? I would like to know a bit more before ordering. What about Smokers Gold... a newer low cost tobacco..RYO magazine talked about it in a previous issue..
Smokers Gold tobacco is made by Inter-Continental Trading Co. (link to review is there). Smokers Gold tubes (St Vincent) and tobacco are distributed by RYOC. Skookum Creek Tobacco Inc. - brand - "Complete"
Complete tobacco is available at Lil Brown in 6 oz bags ($5.15) & 16 oz bags ($11.85), in Full Flavor, Light, & Menthol.